It’s been a while since I’ve done a proper cosplay post. I mostly save all my cosplay stuff for my Geek and Sundry vlog show but some of my viewers prefer written, photographic progress posts because they’re easier to follow than videos. Also apologies for the image quality, as most progress photos were taken with my iPhone. This was how my cosplay turned out for Anime Expo. Not completely finished, but pretty good for working nonstop for 8 days! 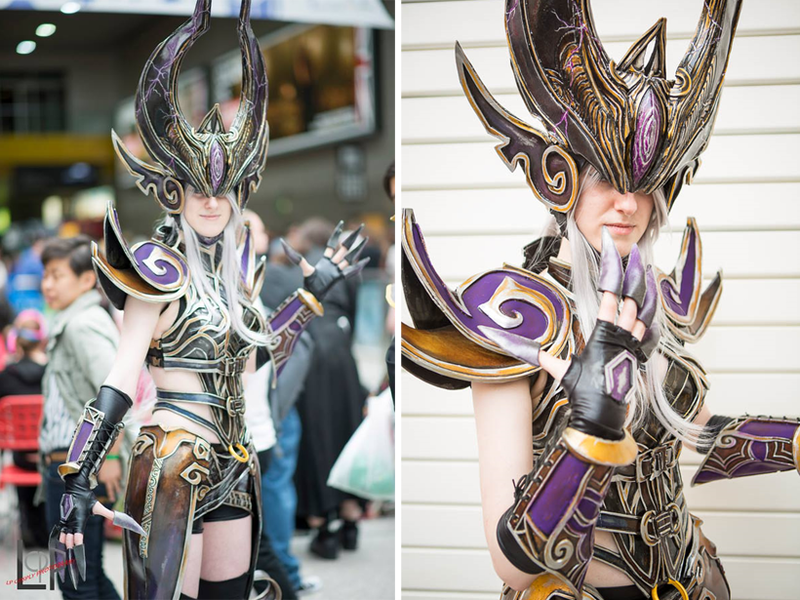 I saw this amazing Syndra at MCM Expo in London! 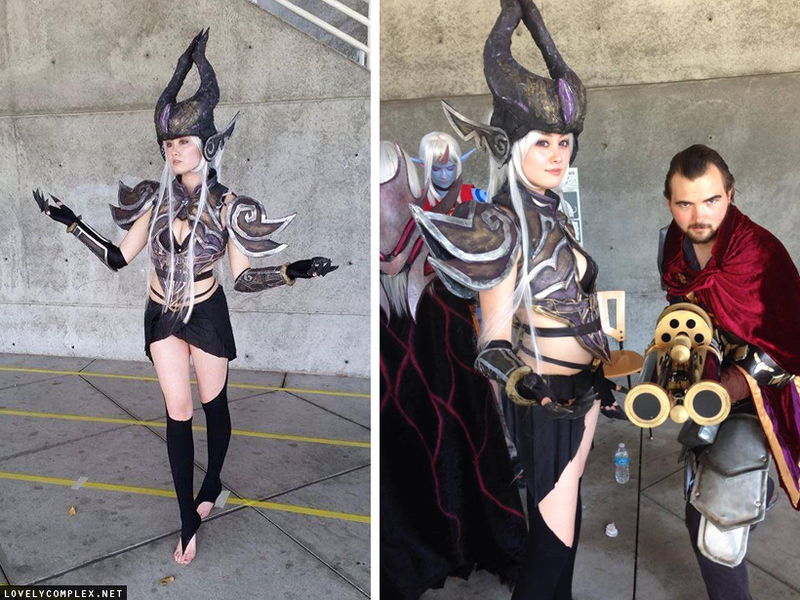 I had thought about cosplaying Syndra, but this cosplayer’s interpretation was absolutely perfect and really inspired me. The entire set of armor was commissioned from Ae Ri who is a fantastic cosplayer. Go check out her stuff – she’s a god at making armor from EVA foam! These posts are part of a series. Check out the other posts here! I decided to cosplay the concept art version of Syndra rather than the in-game version. 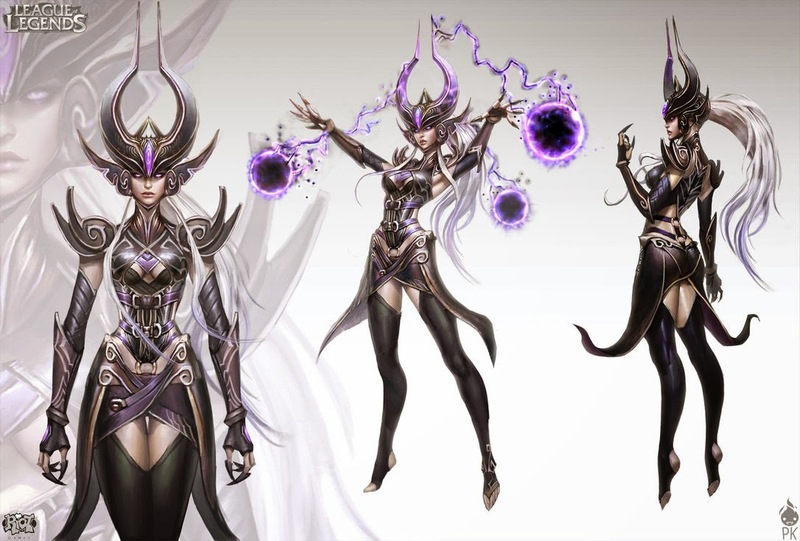 Whilst similar, I like the more purple/gold/brown colouring of Syndra’s armor as opposed to a solid black/dark purple. I also like the extra detail on her bracers and helmet instead of the simple in-game designs! 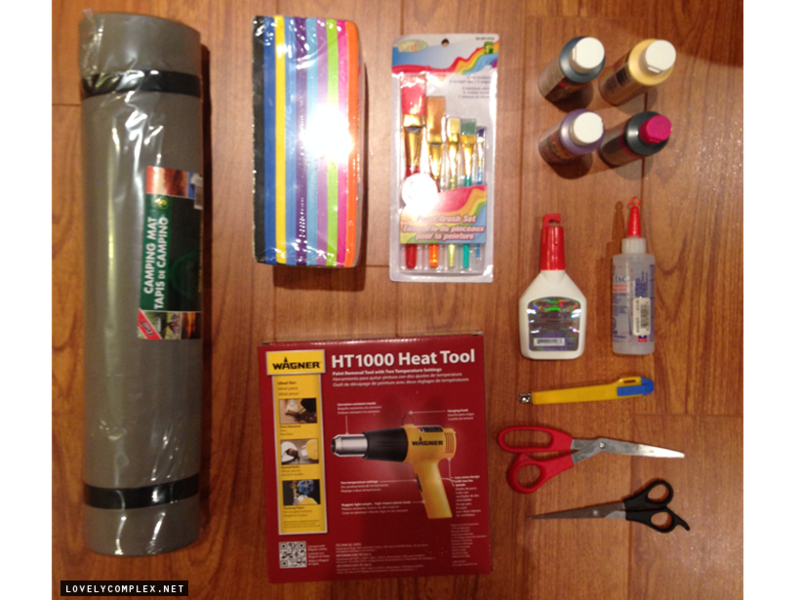 Camping foam mat, craft foam, paintbrushes, acrylic paint, glue, xacto knife, scissors. All from the dollar store. Heat gun is from Home Depot. 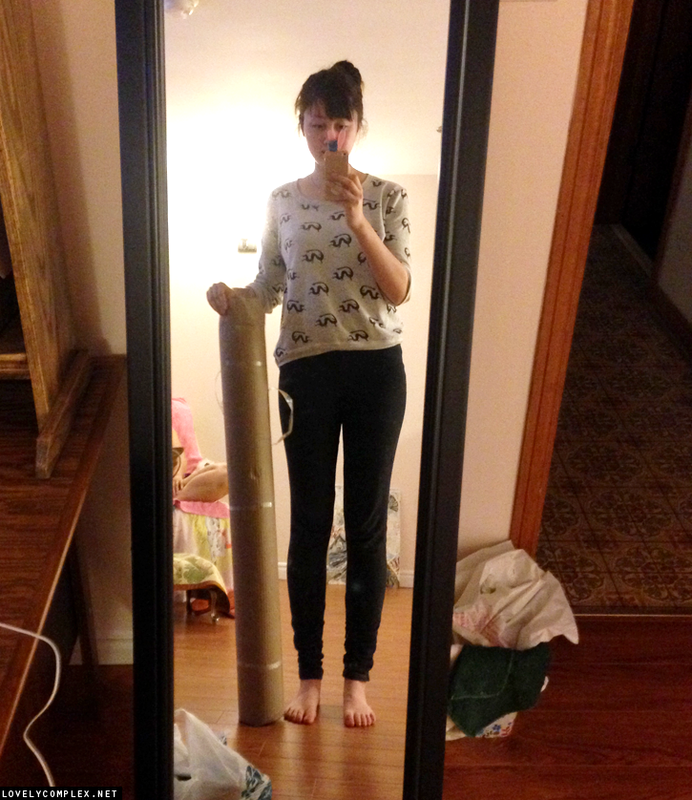 I also ordered two jumbo sheets of Worbla from cosplaysupplies.com. It came to about $183 CAD I think (which is completely ridiculous in my opinion, but it’s a medium I’ve been meaning to try out.) Again, thank you so much to my Patrons for helping me out. I will be doing a video on my Geek and Sundry cosplay vlog showing you how it works! 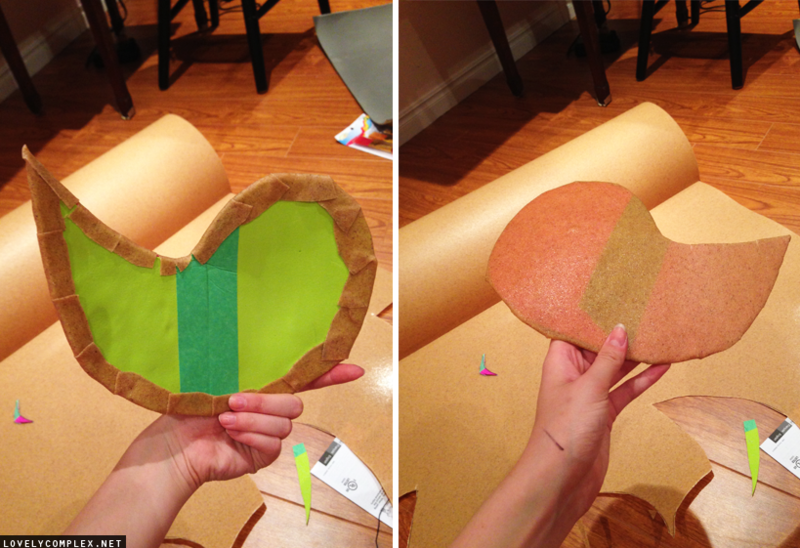 Worbla is a very forgiving material – it’s a sheet with the texture of cardboard. There are two sides – a rough side and a smooth side that is coated in glue. It can be cut with scissors and is attached by heating the edges and pressing them against each other. Once attached, the worbla will not seperate unless heat is applied. It hardens to a plastic-like texture when cooled and will not change shape. It is typically doubled up or sandwiched over a sheet of craft foam for support to better hold its shape. 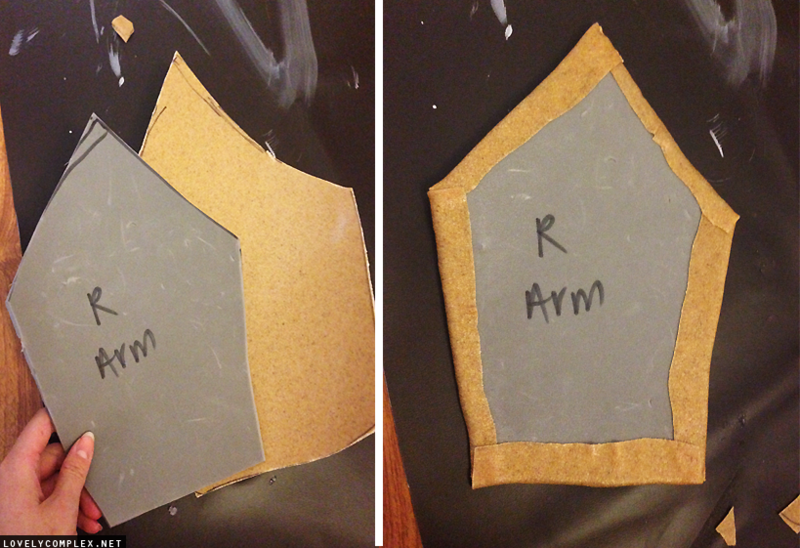 Made a rough pattern for the bracers with paper and transferred to foam. 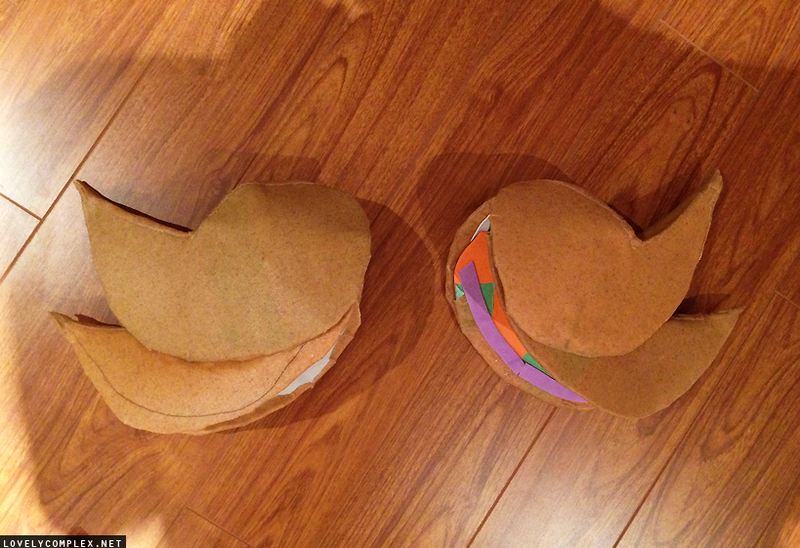 Cut a slightly larger version of the same shape on worbla. Using the heat gun, I heated the shiny/glue side of the worbla and placed the foam over top. I folded the edges over. I know many cosplayers say to use the “sandwich” method aka sandwiching a thin piece of craft foam between two pieces of worbla, but it’s unnecessary in my opinion. This means double the amount of worbla is being used, and worbla isn’t cheap! 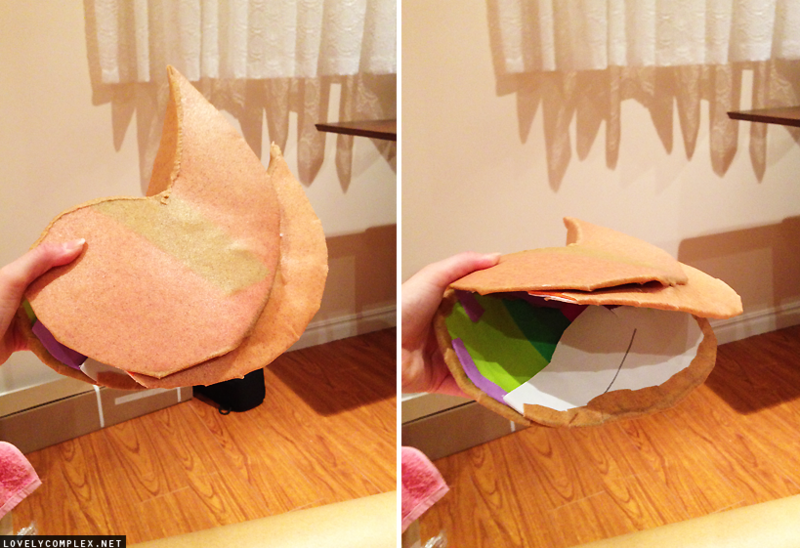 Instead I used thicker foam and just folded over the edges. This is what it looks like on the other side, and then curled inwards. 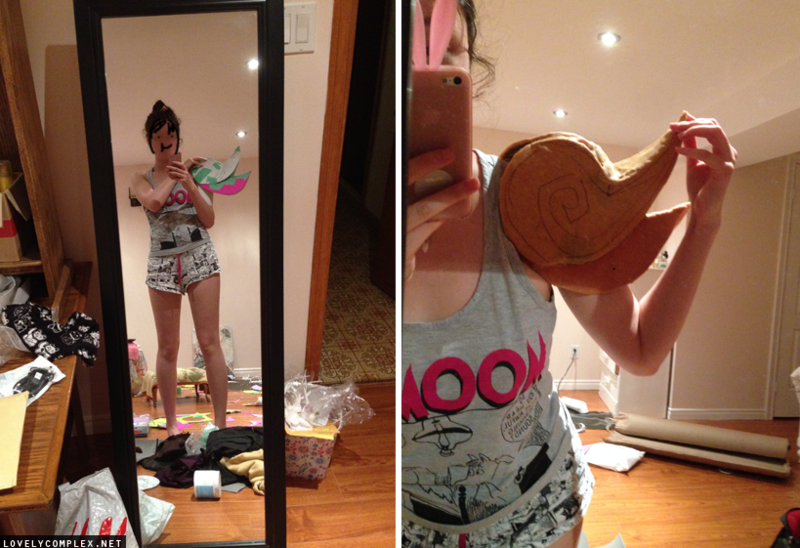 I heated the back and placed the worbla over my arm and held it there until it cooled. The worbla held its shape and didn’t bend. 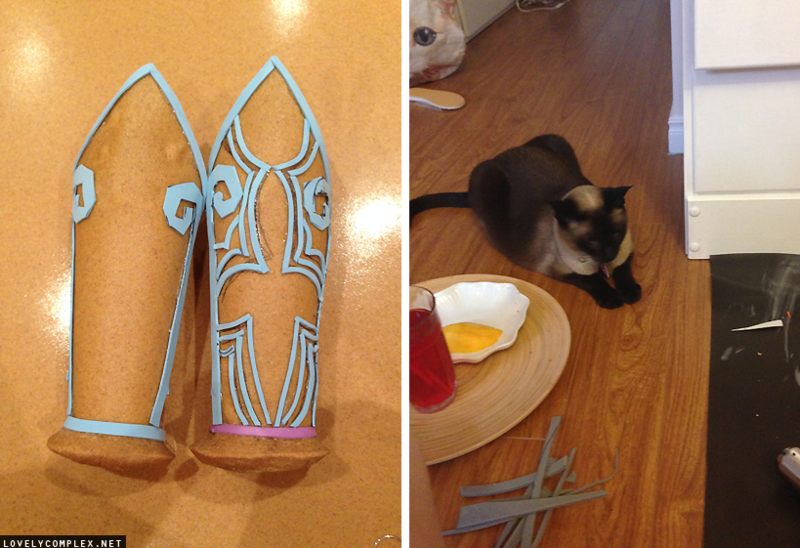 Using small strips of craft foam, I covered the bracer following the designs of the concept art! It was kinda tricky because Happy kept jumping at my scissors. I used hot glue to attach the craft foam. Did this for both arms. Cut out 8 comma shapes using the same fold-over technique as the bracers! Each pauldrol has 4 comma shapes that make up her shoulder design – two on top and two below. When they cooled, I held the round part of the comma shape over a styrofoam ball so it was kinda round, since these parts need to fit over my shoulders. Everything heather together. This is what they look on both the inside and outside. I didn’t want to put any worbla on the inside because worbla has a rough texture. Craft foam feels a little softer on the shoulders, especially if worn at a convention for several hours. It is important to keep trying them on to make sure that they fit! 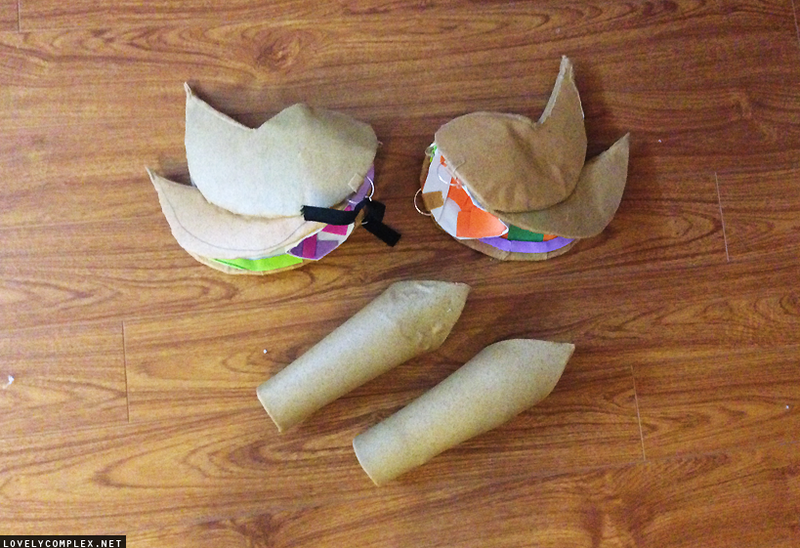 The first time I tried on my pauldrons, they were too big and weren’t pointed upwards enough so I had to reshape them! I attached little rings on the inside of my pauldrons – three in each pauldron. One on the top, and two at the sides. These will be used to attach the pauldrons to corresponding rings on the inside of the main body armor! 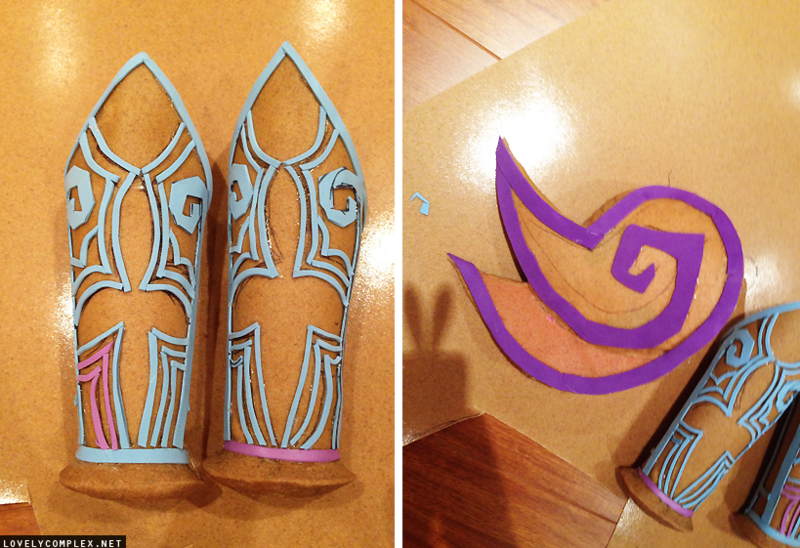 Final craft foam details hotglued onto the tops of bracers and pauldrons! I found small details looked better with craft foam instead of worbla since the foam looks smoother. 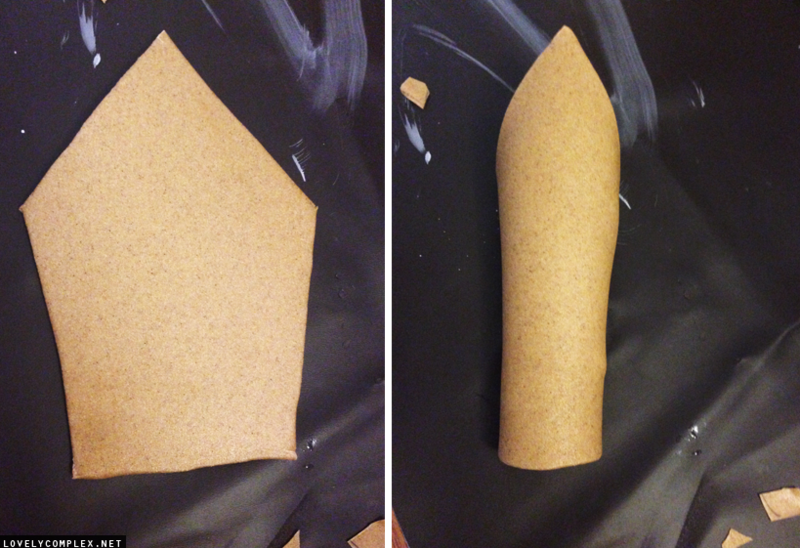 For the bottom of my bracers, I took my worbla scraps and heated/rolled them into a sausage shape. I heated it to the bottom and then pressed them on so they adhered. Then I pinched the middle to create the angled edge. The next post will cover the body armor and priming/painting!